Vintage French Pottery Coin Bank. Provence France Souvenir Money Box. 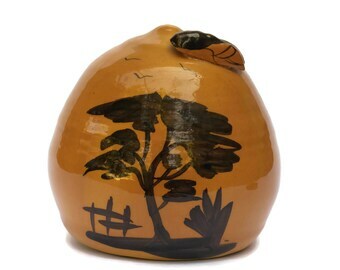 Hand Painted Ceramic Cicada Beehive Piggy Bank. Scheibe Alsbach German Porcelain Figurine. Farm Lady with Bird Miniature Porcelain. 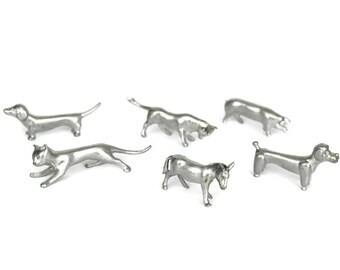 Pewter Animal Figurine Knife Rests. 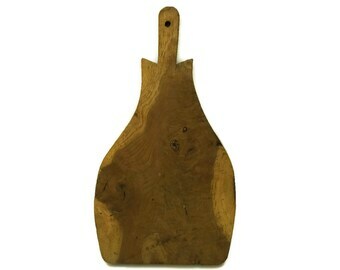 Swiss Farm House Decor. Set of 6 Cutlery Rests. Dog Figures and Cat Lover Gifts. Antique German Porcelain Cat Figurine with Yellow Ribbon. Cat Lover gift. Antique Saint Fulcran Figurine. French Catholic Religious Art Statue. Christian Gifts and Home Decor. Pewter Soldier Figure. French Etains du Prince. Vintage Collectible Military Model Figurine of Imperial Guard Sapper. Gifts For Him. Imperial Guard Sapper Pewter Soldier Figure. French Etains du Prince. Vintage Collectible Military Model Figurine. Gifts For Him. Duke of Reichstadt Pewter Soldier Figurine. Vintage French Etains du Prince. Collectible Military Model Figure. Gifts For Him. Pewter Soldier Figurine. Vintage French Etains du Prince. Collectible Military Model Figure of Marechal Soult. Gifts For Him. French Pewter Soldier Figurine. Vintage Etains du Prince. Collectible Military Model Figure of Hussard. Gifts For Him. These cups are beautiful. The seller was so courteous and kind throughout the shipping process. I will do business with this shop again. Though due to distance, order ahead because the shipping does take a while. Not the shop’s fault. But it was delayed and did not make it here for the date I wanted (missed by a day).